As the youngest child at our family’s Passover seders, my sister sang the Four Questions until she was 35. One year, during seder preparations, my older sister almost sliced off the top of her pinky while coring a pineapple. Well before the rise of social media, my siblings built Pinterest-worthy pyramid scenes, complete with matzah flour “sand” and sweet date and apricot charoset “bricks.” I remember peering out of our family friends’ front door scanning for a glimpse of Elijah the Prophet, while inhaling the scent of their towering pine trees. According to the Torah, Rosh Hashanah carries the title of Yom HaZikaron, the Day of Memory, but for most of my Jewish friends and relatives, Passover is the holiday in which memories are most deeply etched in our minds. Ahad Ha’am, one of the Zionist luminaries of the 19th and 20th centuries, declared that, “more than Israel has kept the Sabbath, has the Sabbath kept Israel.” For thousands of years, Shabbat had been a dedicated time for family, prayer, community, reflection, food, memories, singing, and napping — in fact, the combination of all of the above may have preserved Judaism through the millennia. 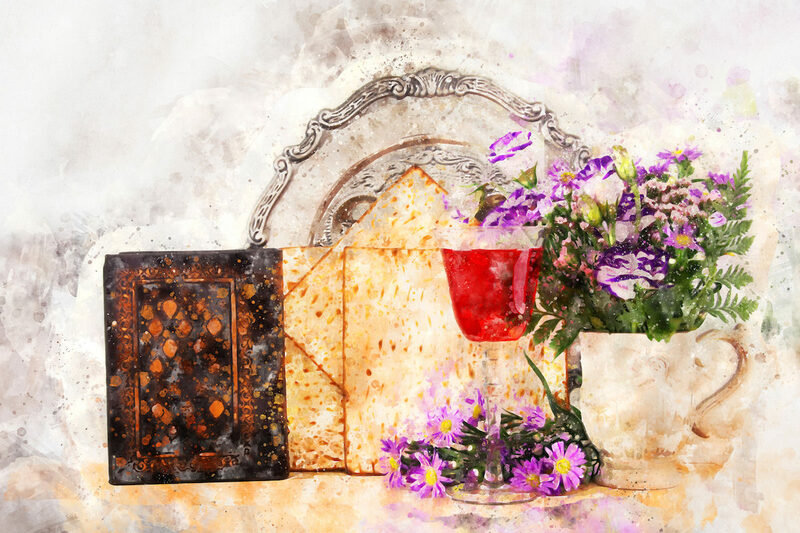 By contrast, many Jews today do not regularly observe the Sabbath, but they may discover that the festival of Passover serves a similar function. After all, Hanukkah may score highest as Jewish children’s favorite holiday, but the Passover seder remains the most widely celebrated religious ritual for many American Jews. Although I enjoy arranging colorful Hanukkah candles and expressing respectful skepticism over my husband’s unique latke recipe, I, too, am team Passover all the way. I find that the ritual of the seder lends itself to personal expression while, at the same time, it reinforces core values such as kindness to the stranger, gratitude, and appreciation for nature. Four years ago, I even published a haggadah for my baseball-obsessed sons, highlighting the unexpected connections between these two spring rituals. The magic of the seder is that it functions as a once- or twice-a-year refresher that touches on so many important parts of Jewish life, including history, liturgy, music, and cooking. It’s basically an annual symposium that reminds us of the values that we treasure most as Jews, from examining the Torah to find historical explanations of our ancestry, to committing ourselves, out loud, to taking care of the strangers among us. By distilling thousands of years of Jewish learning, commentary, and practice into a chatty, sing-along dinner, the seder also models what our priorities might be when raising our families. Passover reminds us that nature matters, the environment matters, history matters, and Jews and non-Jews matter. The Passover seder is typically is divided into 15 rubrics — open up almost any haggadah (be it traditional, feminist, chocolate, or Hogwarts), and there’s typically a list of these sections. Together, these sections — highly curated by rabbis over the centuries — can serve as a Cliffs Notes version to Judaism. Here’s a short sketch of the parts of the traditional seder, and the enduring Jewish and humane values they reinforce. Reciting the first wine blessing reminds us of the importance of setting aside special times, making distinctions between what is regular and what is holy. Children who learn this lesson understand that life is not just one endless playtime revolving around them. Even if we are not ritually accustomed to this practice prior to eating, we teach our children about the importance of taking care of our physical bodies so that we can function in the world and stay healthy, and also feel a sense of the divine (see #1). This tradition sends the message that we must take care of our green (and blue) planet. We take a moment to fully appreciate the taste of one piece of parsley or green plant. We recognize that we are connected to nature, the salt water of the sea, and the returning warmth of the springtime sun which fuels the green growth. We taste the flavor of tears to remind ourselves of other’s sadness. This ritual has so many layers of meaning, but perhaps a lesson that resonates for many children is that, in spite of every best effort, sometimes it is impossible to break things evenly. Because life does not necessarily split fairly, we can be helpers to those people who get more crumbs and less matzah. We grow from our family stories. Anecdotes and family histories define us, and will shape our children. What are our blessings? How can we remember to be grateful for our gifts each and every day? This teaches the value of feeding ourselves and others. We teach the value of shaking ourselves out of the tyranny of our own habits to recall our ancestors’ rush to freedom. We experience empathy for the plight of others, and are moved to assist those with a bitter lot. This teaches us that difficult tastes and times can be softened when we are surrounded by the sweetness and nourishment of others. The Passover dinner allows us to celebrate the flavors of Jewish cultures from across the world. Each of us has a quiet part that is concealed from others. This helps us share our gratitude. We engage in the joy of music and the beauty of the Hebrew language. We make a prayer for a better year ahead for all. May each of us find our own hidden matzahs, and may our seder memories be filled with sweetness. Happy Passover!